In the spirit of giving, we are giving you the tools to do right by the long abused battered and under appreciated Thanksgiving side dish: Cranberry Sauce. For too long, American's have substitued this simple do-it-yourself recipe for it's canned inferior disgusting cousin. We at PULLEDTOGETHER say no more and never again. 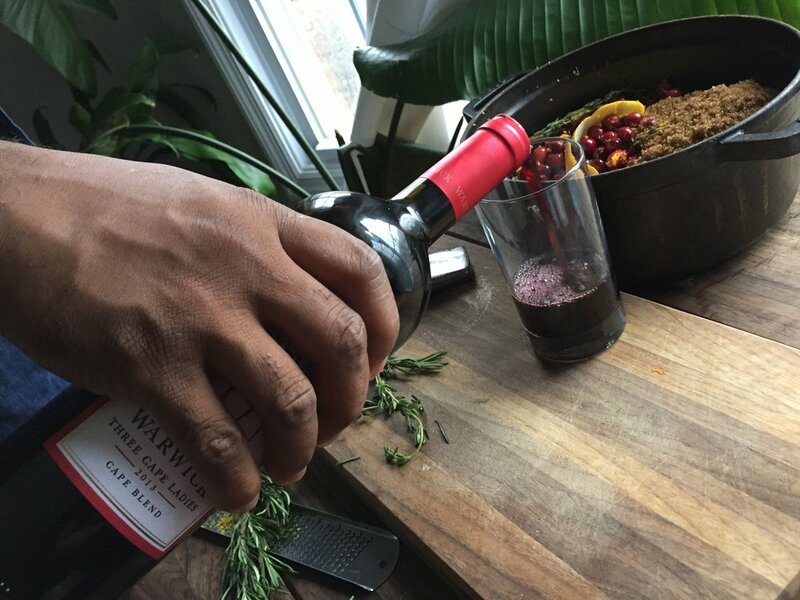 We are starting a Cranberry Sauce revolution and our friends over at Wines of South Africa are helping us in the fight. 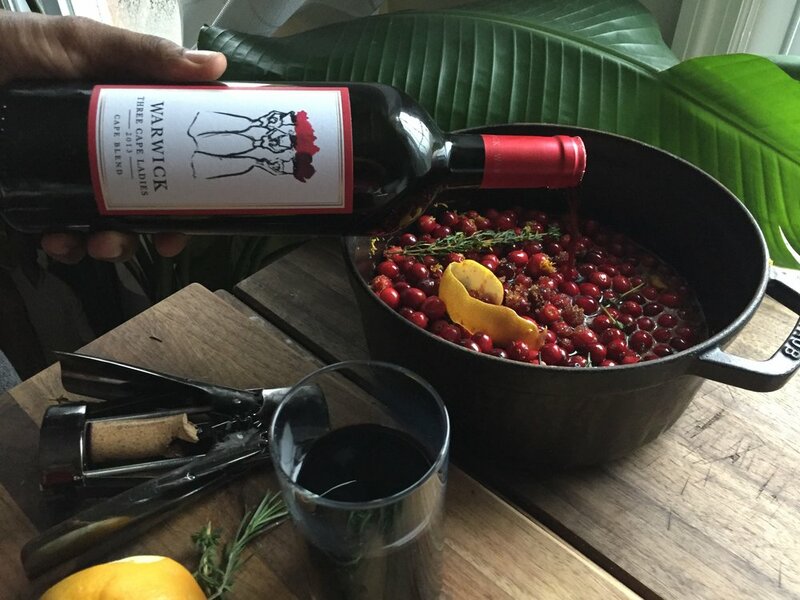 We incorporated the Warwick Three Cafe Ladies 2013 Caple Blend to jazz up this Thanksgiving staple and to enjoy while we cook. In a medium pot over medium heat, combine the cranberries, sugar, red wine, cinnamon, 1/2 cup water, honey, ginger and salt. Simmer gently until most of the cranberries have popped and the sauce is thick and syrupy, 20 to 30 minutes. Stir in the black pepper. Chill thoroughly before serving.